Home » Latest News » Technical Focus: Why Measure Temperature in Activated Sludge? Activated sludge is something that all wastewater plants have to deal with, and the process can either be your best friend or your worst enemy, depending on how you approach it. 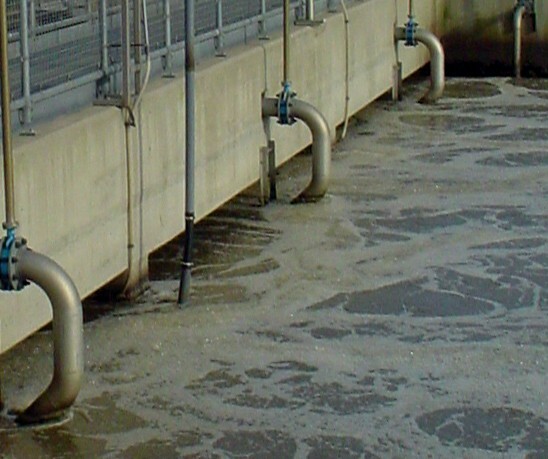 Everyone knows that the bacteria in Activated Sludge Plants are susceptible to temperature variations, and so monitoring this range is crucial to optimising overall plant efficiency. In order to benefit from optimum activated sludge temperatures, instruments such as the WaterTechw2 D062 Temperature Monitor from the Partech catalogue are crucial to maintain efficiency of physical and chemical processes without having a substantial negative impact on solute adsorption. Being able to highlight a middle ground of optimum efficiency and successful process temperature is an asset to any industry, especially when extreme temperature can result in damage to organisms or negating of consent criteria. Surface aerated plants commonly operate at temperatures within the regions of 4-32 degrees Celsius; does your industry use temperature monitoring within activated sludge treatments? We’re always interested in making processes more efficient through effective temperature monitoring (as well as utilising other values such as turbidity, phosphate and dissolved oxygen), and would be most interested to hear of how heat levels affect your industry: let’s talk temperature.